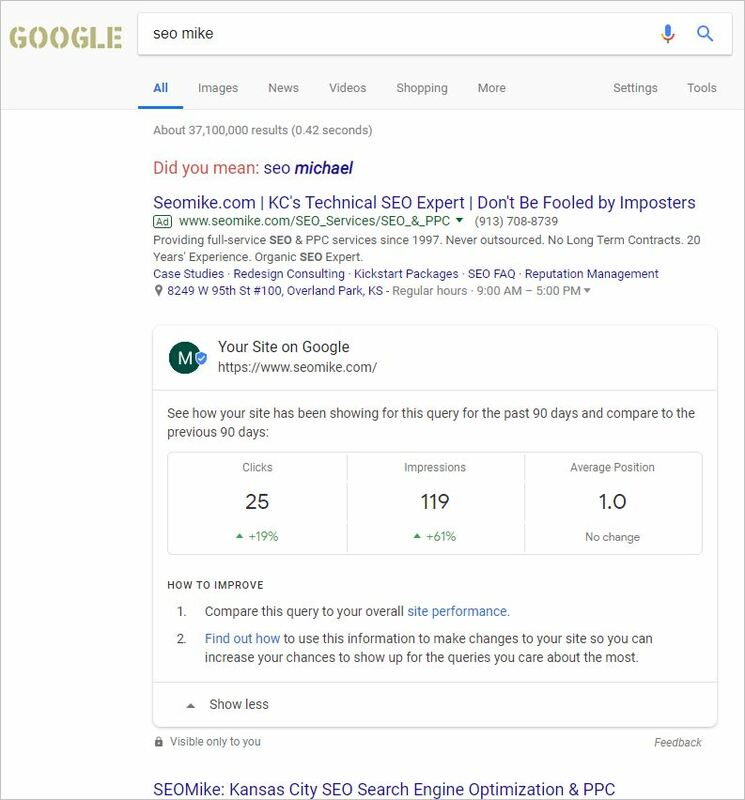 Google is displaying keyword info taken from Google Search Console in the organic search results. Adding prominence to keyword data is a very interesting shift for Google. Google typically does not give a lot of emphasis to keyword information because they don’t want webmasters focused on it. The link to “site performance” takes you to Search Console’s performance section and this is where the “Find out how” link takes you. I have to wonder about the point of this little bit of data. Are they trying to bring more people into GSC? Is the new GSC not as engaging to webmasters as GWMT? Does Google really want people to be thinking about keywords again?